Duffy Keys, Co-Founder of B Cellars Vineyards and Winery, recently came through town for a wine dinner hosted by Tracy and Kent Rathbun from Shinsei, and I had the chance to hear a story that has remained the industry’s best kept secret of luxury brands, reinvention and putting the customer first. 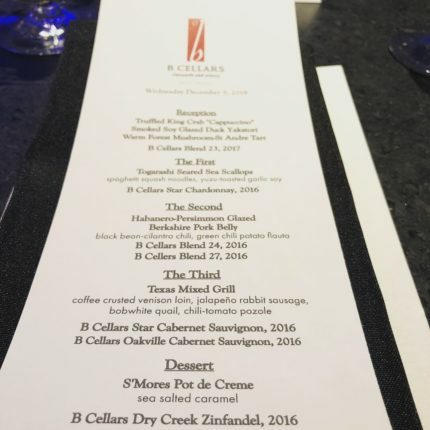 When two luxury brand veterans came together to recreate their career experience in the world of California wine, B Cellars came to fruition showcasing wine, food and the experience of the vineyard. Duffy Keys and Jim Borsack met in Southern California in 2002, while working as executives in the luxury business: Duffy with Four Seasons Hotels and Jim with El-Portal, a global chain of designer leather goods. 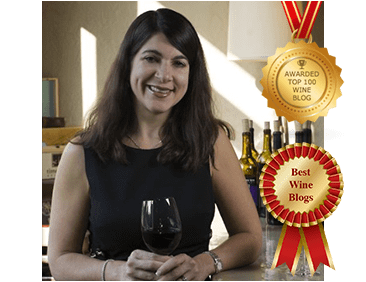 They soon realized they were both ready for the next stage of their careers, had a love for great wine and food and a passion for treating customers in a way that was different than what they saw in the current landscape of Napa wineries. That was the dream for B Cellars. And then they found the perfect site in Oakville. Clark and Lisa Miller owned an 11.35-acre property that was used to breed and raise cutting horses. Clark played for the San Francisco 49ers and the Los Angeles Rams and had a successful Coors distribution business. The family happened to apply for a winery permit in 1970’s, but never planted grapes. Right around the time that Duffy and Jim began looking for properties, Lisa was considering selling the property. The timing was perfect. In 2012, Duffy was in process of negotiating his exit from the Four Seasons and was living in Singapore, but had decided with his wife, Judy, that they were going to move to Sonoma and apply the same luxury lessons to the wine business that served them well in his executive position at the Four Seasons. With the property purchased and with the same shared vision, Keys and Borsack needed a winemaker and they needed to secure great grapes. Remember these were two men that weren’t going to settle for anything but the best as they took enology and viticulture classes at UC Davis. 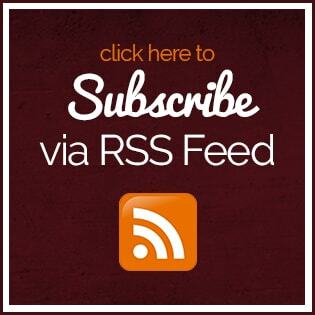 With perseverance and with lots of good connections, they found Winemaker Kirk Venge, who opened the doors to vineyards like Beckstoffer and To Kalon. Venge instituted a multi-vineyard winemaking strategy where the wines are blended, crafted and procured from Napa and Sonoma’s top growers. B Cellars has a long-term partnership with Pioneering Grower Andy Beckstoffer, who works in partnership six single-vineyard heritage wines from Bourn, Dr. Crane, Georges III, Las Piedras, Beckstoffer Heritage Vineyards, Missouri Hopper and To Kalon. They also work with Dutton Ranch Manzana Vineyard in the Russian River Valley; Dutton Ranch Mill Station Vineyard in the Russian River Valley; Ehrlich Vineyard in Napa Valley; Kenefick Ranch Vineyard in Napa Valley; Kick Ranch Vineyard in Sonoma and Star Vineyard in Napa Valley to make the 15 wines produced. Duffy talked about the luxury experience at B Cellars. The wine tasting room features a demonstration kitchen that prepares food from its seasonal gardens found on the estate. The vineyards, production facility and caves showcase the experience of hospitality that is the cornerstone of the B Cellars philosophy. The tasting experience is not usual. It starts with a tour of B Cellars vineyards, gardens, winery and caves. Along the way, guests partake in a barrel tasting followed by a seated wine and food pairing in the Hospitality House with a tasting of 5 award winning wines selected from the portfolio of appellation/vineyard designates and proprietary blends served with seasonal B Bites prepared by the Executive Chef Derick Kuntz and his team. And the critics have taken notice – Travel and Leisure Magazine has named B Cellars as a top wine experience and The New York Times has featured it in its 36 hours in Napa story. Click here to read both stories. But let’s talk about the wine and food. 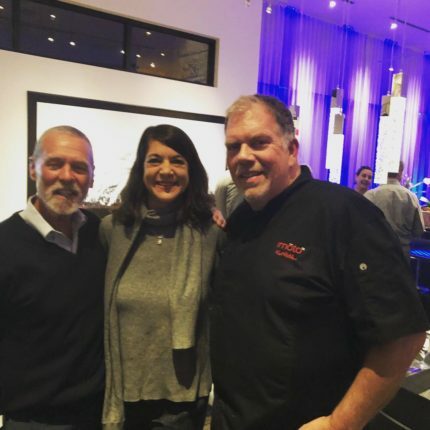 If you’ve followed the dining scene in Dallas, you know Chef Kent Rathbun, who has led some of the top restaurants in Dallas, is a four-time James Beard Award-nominated American chef and restaurateur who beat Bobby Flay with his brother, Kevin Rathbun, on Iron Chef America. 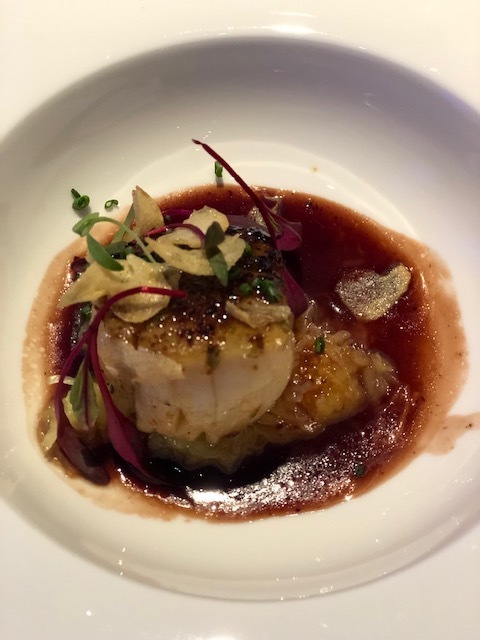 The reception was Truffled King Crab “Cappuccino”; Smoke Soy Glazed Duck Yakatori and Warm Forest Mushroom-St Andre Tart paired with the 2017 B Cellars Blend 23. The 2017 B Cellars Blend 23 was a blend of Sauvignon Blanc, Viognier and Chardonnay. I tasted stone fruit, honeysuckle, lemongrass, grapefruit, white flowers and a nice minerality. Our first course was the Togarashi Seared Sea Scallops with Spaghetti Squash Noodles with Yuzu-Toasted Garlic Soy paired with the 2016 B Cellars Star Chardonnay. 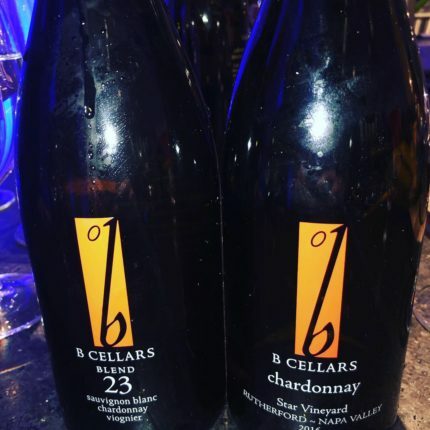 The 2016 B Cellars Star Chardonnay has notes of crème brulee, apple tart, honeysuckle, fresh baked bread, citrus, pear and flowers. 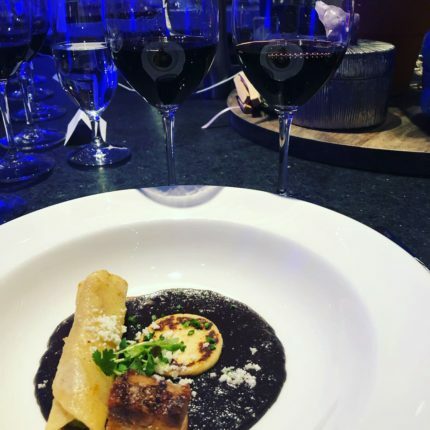 The second course was a Habanero-Persimmon Glazed Berkshire Pork Belly with Black Bean-Cilantro Chili with a Green Chili Potato Flauta served with a 2016 B Cellars Blend 24 and a 2016 B Cellars Blend 27. 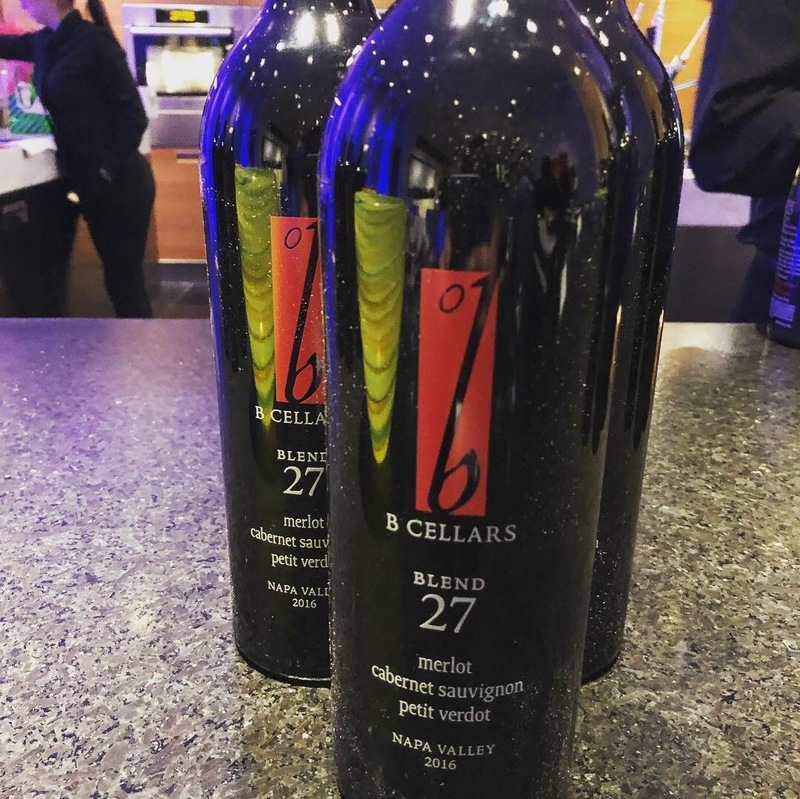 2016 B Cellars Blend 24 – this was a play on a Super Tuscan wine and a blend of Sangiovese, Cabernet and Petite Sirah. I tasted cedar, herbs, black fruit, red fruit, spice and loved how this continued to open during the dinner. 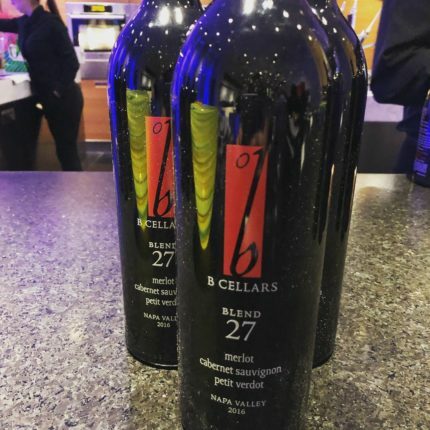 2016 B Cellars Blend 27 – this blend of Cabernet, Petit Verdot and Cabernet Sauvignon is smooth and elegant. I tasted notes of smoked meat, black fruit, blue fruit, cocoa, anise, spice and herbs. 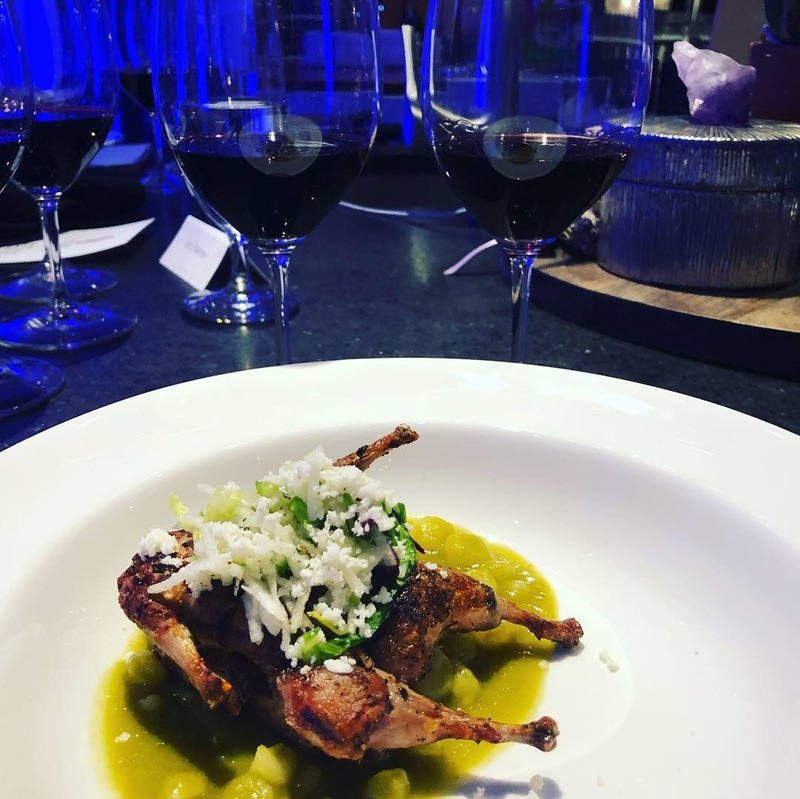 Our third course was the Texas Mixed Grill which consisted of Coffee Crusted Venison Loin, Jalapeno Rabbit Sausage, Bobwhite Quail and a Chili-Tomato Pozole paired with a 2016 B Cellars Star Cabernet Sauvignon and a 2016 B Cellars Oakville Cabernet Sauvignon. 2016 B Cellars Star Cabernet Sauvignon – I tasted black fruits, cocoa, chocolate, purple flowers, pencil lead, spice and herbs. 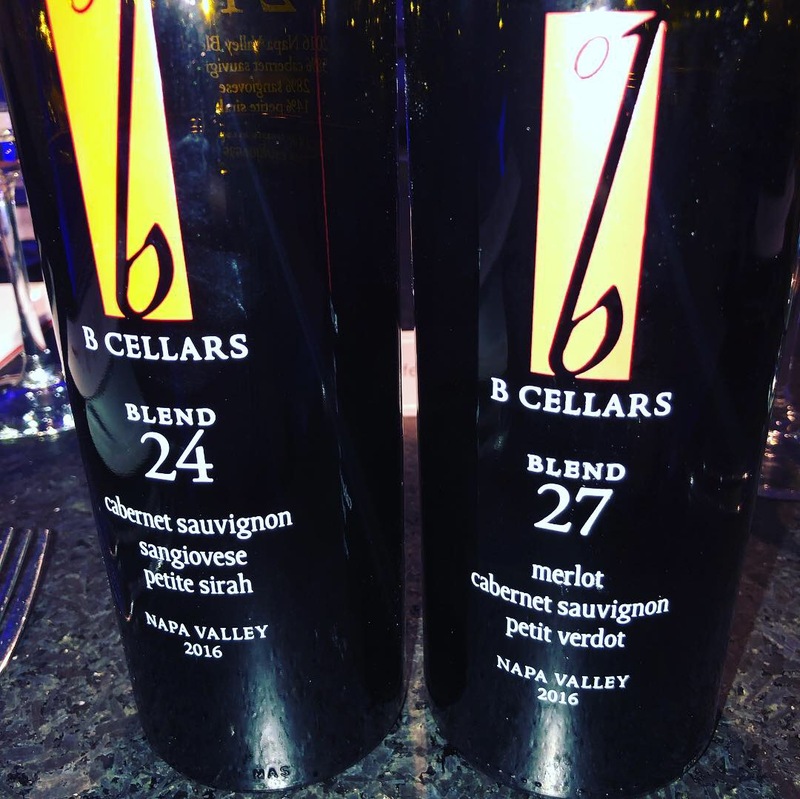 2016 B Cellars Oakville Cabernet Sauvignon – I tasted black fruits, mocha, forest floor, cassis, eucalyptus, herbs and spice. This is velvety and elegant. 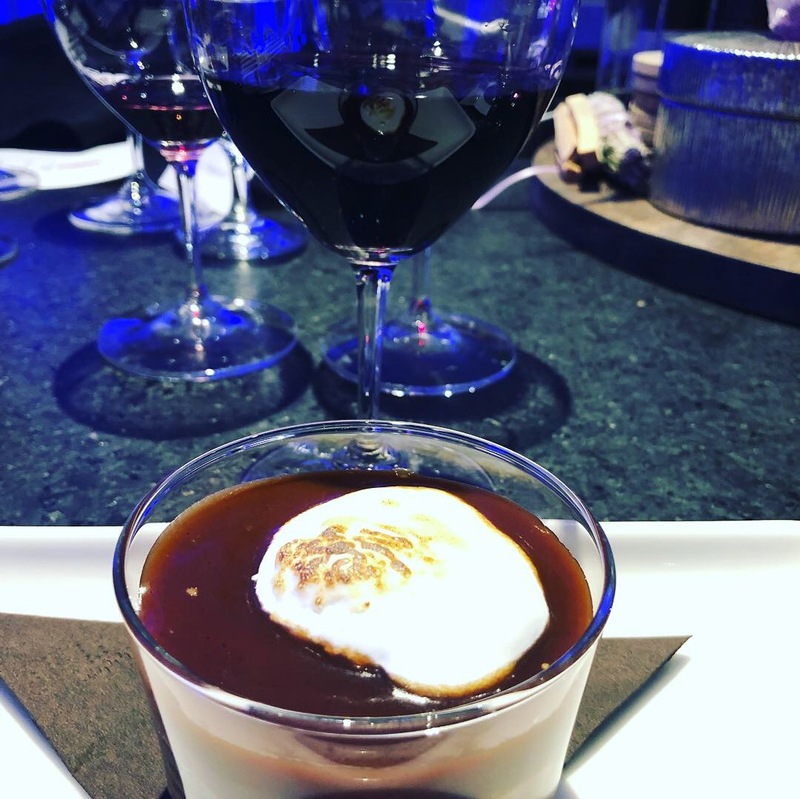 Our final course was the S’mores Pot de Crème with Sea Salted Caramel with the 2016 B Cellars Dry Creek Zinfandel. 2016 B Cellars Dry Creek Zinfandel – I tasted black and blue fruit compote, plum and black pepper. What a great match with the dessert! While I have not yet had the B Cellars wine and food experience, this appears to be a five-star food and wine experience begging to be discovered by consumers that want to take their Napa experience to the next level. I can’t wait to discover the magic of B Cellars my next trip.